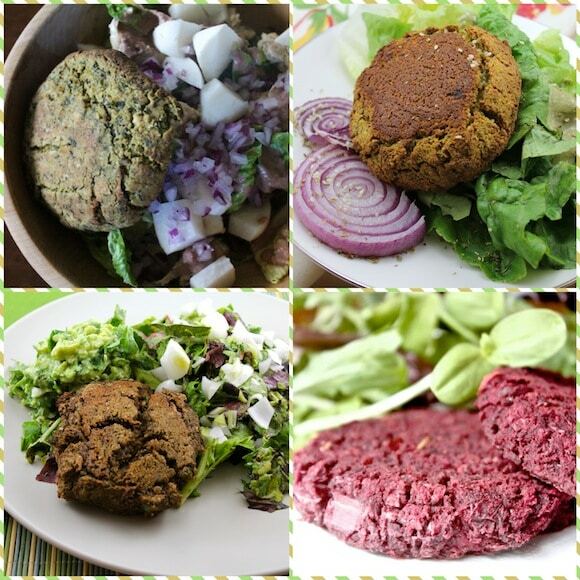 These Vegan Baked Chickpea Burgers are a great healthy main dish you can serve all year round. 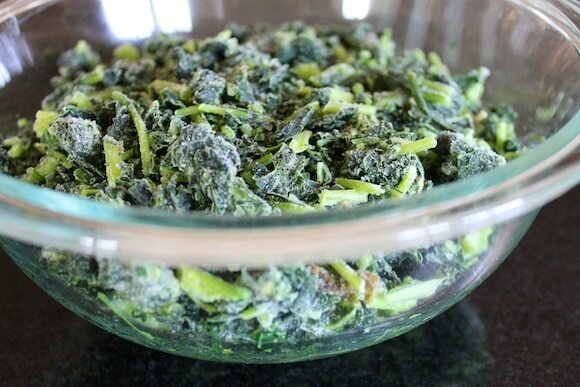 Place frozen kale in a medium bowl and defrost overnight in the fridge. Alternatively, you can defrost the kale in the microwave according to the package label. 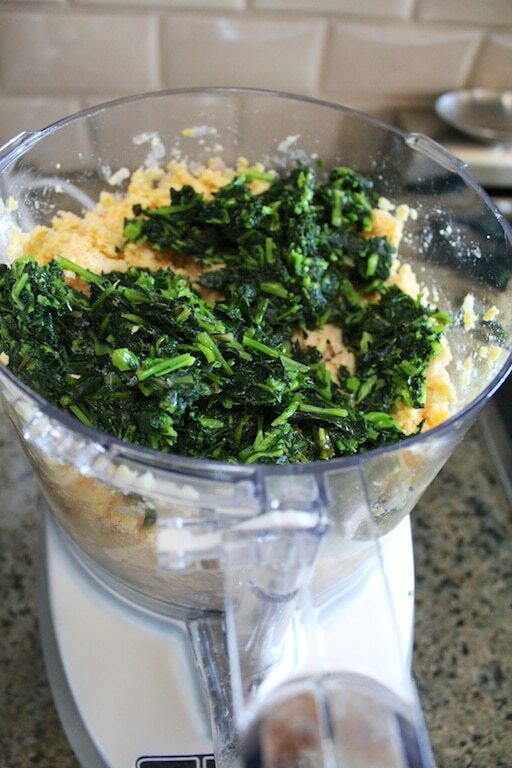 Combine the defrosted kale with the chickpeas in a food processor. 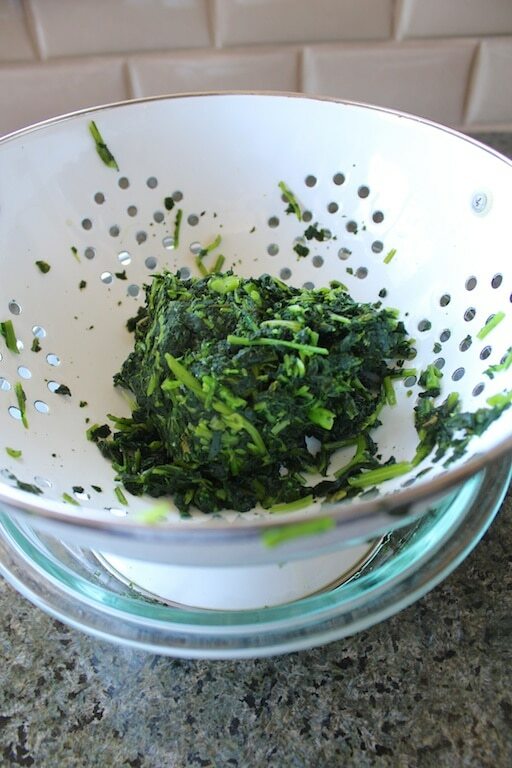 Turn processor on high until ingredients are combined, stopping to scrape down the sides of the bowl if necessary. 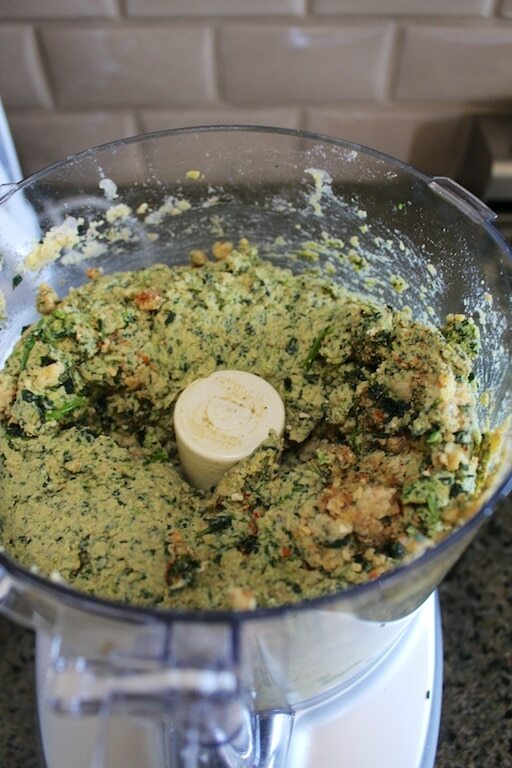 Add the shallot, garlic, tahini, miso, cumin, paprika, coconut aminos, and no-salt seasoning to the food processor with the chickpeas and kale. Turn on high until ingredients are combined. 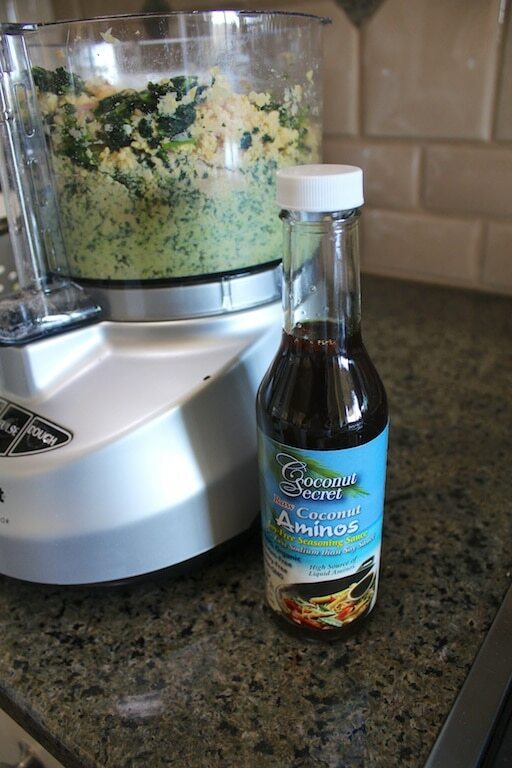 If necessary, you can add a tablespoon of cold water to ensure that the ingredients get mixed together. Pour the mixture into a large bowl and use your hands to form approximately 8 burger patties. Place the patties on the sheet and bake for 20 minutes. Flip once, and then bake another 20 minutes, or until the tops of the burgers have turned golden brown. You can download Vegan Delish on your iPhone or iPad here. I’m headed out to Seattle today for a long weekend with my sister and friends. I’ve also planned my very first visit to an animal sanctuary and I can’t wait to have that experience and share it with you. Other weekend to-do items include going to the amazing farmers’ markets of the Pacific Northwest, going hiking, attending my nephew’s 5th birthday party, and frequenting some of Seattle’s fantastic vegan restaurants. I’m taking my laptop along so I’ll be blogging from the road. Wish me safe travels until we meet again tomorrow. Note: This post was submitted to Wellness Weekends. These look phenomenal! I have had utter fails with my bean burgers, but these have renewed my energy in attempting another recipe! 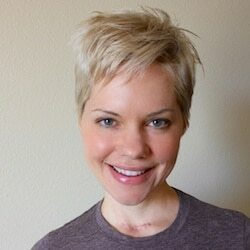 I absolutely love, love, love your blog, Carrie! Have a relaxing trip, dear! Hope you have a wonderful trip. I’m looking forward to reading more about it. Oooh kale-d up burgers sound great. Love that you can get frozen kale in the stores. The only leafy green I can get frozen is spinach unfortunately. Hi Emma! Thanks for the note. 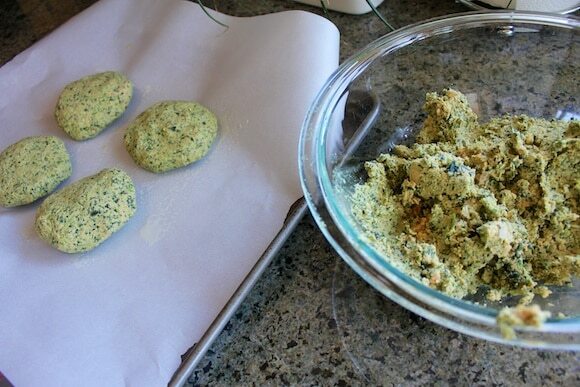 Frozen spinach would work beautifully in this recipe, too. And, yes, I feel quite grateful to have access to the organic frozen kale now. This recipe sounds delicious! It reminds me of my hummus recipe … instead of kale I use a lot of fresh herbs froms my pots, and then some liquid to make it more smooth 🙂 Enjoy your weekend! We are heading to our beach house. I would love that, Carrie!! 🙂 that would be awesome! These look amazing. 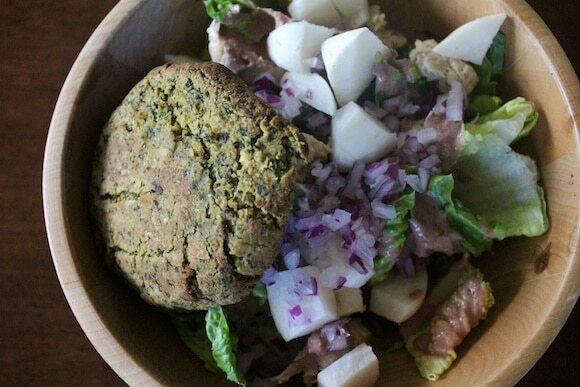 I love making veggie burgers, and they do sound very falafel like. I’ve never had kale in a burger either. Just found your blog. These look good! 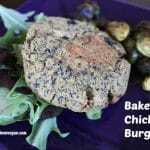 Nice to see another oil free burger recipe! I’ve purchased similar packs of chopped kale before, do the stems not bother you? It’s a deal breaker for me! 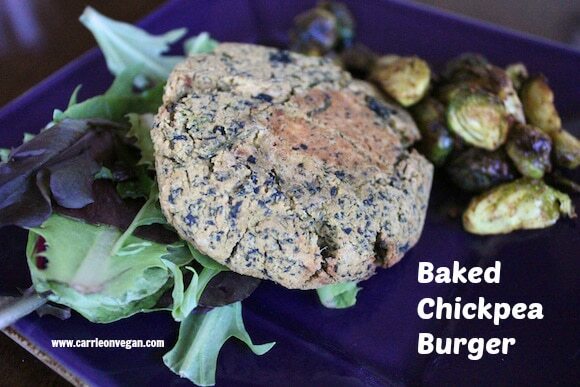 I never seem to get tired of the veggie/bean burgers and these look great! 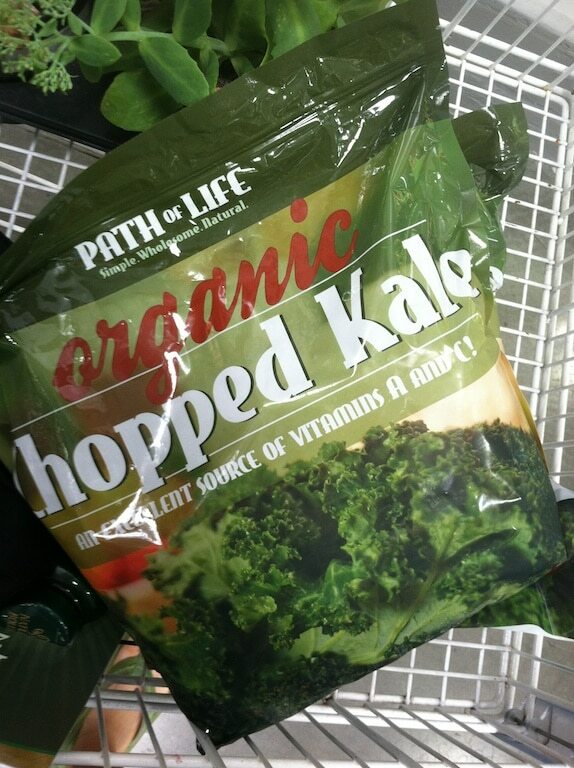 I will have to see if my Costco has that frozen kale. Have a great trip! Please share your eats! 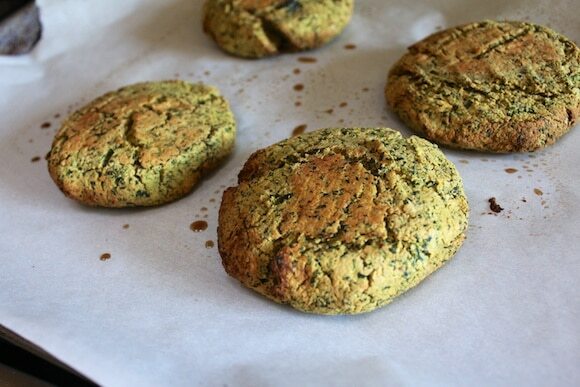 Do you think these would work with frozen spinach or with fresh kale? or would the texture be wrong? I just got a head of fresh kale. Thanks! Yes, I think you could use either! I would steam the fresh kale and then squeeze out the moisture. I made them! They turned out! They are my new favorite! YUM! Thanks, dearie! Hi!! I tried these and the only thing that I changed was using fresh kale. They tasted delicious but ended up very crumbly =(. Any idea what I might’ve done wrong? Hi Saskia, gosh, I’m sorry the texture wasn’t right. Since I didn’t test it using fresh greens, I am assuming that was the difference. I never thought a burger could be this healthy. I’m really learning because of your blogs and recipes.